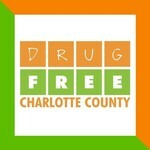 Sprinkler Man Jerry is going Over The Edge for Drug Free Charlotte County. Help! Jerry Moore hasn't added a story. Jerry Moore hasn't posted any updates yet.